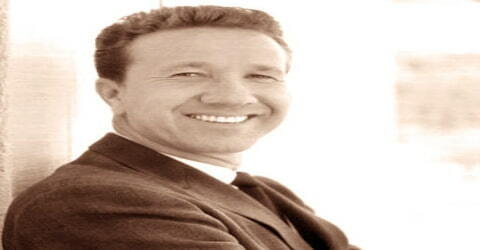 Marty Robbins – American singer, songwriter, actor, multi-instrumentalist, and racing driver. 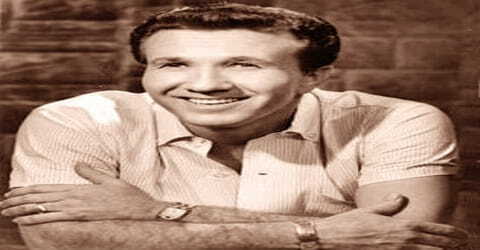 Place of Death: Nashville, Tennessee, U.S.
Marty Robbins, American singer, songwriter, music publisher, and NASCAR driver, was born on September 26, 1925, in Glendale, a suburb of Phoenix in Maricopa County, Arizona. He was one of the most popular country music performers in the 1950s through 1980s. One of the most popular and successful country and western singers of all time for most of his nearly four-decade career, Robbins often topped the country music charts, and several of his songs also had crossover success as pop hits. Although his earliest recordings were unremarkable weepers, by the mid-’50s Robbins was making forays into rock music, adding fiddles to the works of Chuck Berry and Little Richard. By the late ’50s, Robbins had pop hits of his own with teen fare like “A White Sports Coat (And a Pink Carnation).” Almost simultaneously, he completed work on his Song of the Islands album. In 1959, Robbins stretched even further with the hit single “El Paso,” thus heralding a pattern of “gunfighter ballads” that lasted the balance of his career. Robbins also enjoyed bluesy hits like “Don’t Worry,” which introduced a pop audience to fuzz-tone guitar in 1961. Barely a year later, Robbins scored a calypso hit with “Devil Woman.” Robbins also left a legacy of gospel music and a string of sentimental ballads, showing that he would croon with nary a touch of hillbilly twang. Best known for the hits ‘El Paso,’ ‘My Woman, My Woman, My Wife’ and ‘Among My Souvenirs,’ he had been a successful singer for almost four decades. The single ‘I’ll Go on Alone’ became his first No. 1 country song and ‘El Paso,’ which earned him a Grammy Award, was one of his signature songs. He learned to play the guitar on his own while he was serving in the U.S. Navy during World War II. He pursued a full-time career in music after the war ended, starting with his own radio program called ‘Chuck Wagon Time’ and his own local TV show, ‘Western Caravan.’ The recipient of two Grammy Awards, Robbins had recorded more than 500 songs and 60 albums. He had scored at least one hit song each year for 19 consecutive years. He placed 94 songs on Billboard’s Country Singles charts, four of them after his death. Besides a singing career, he was an avid race car driver and competed in 35 NASCAR Grand National races with six top-10 finishes, including the 1973 Firecracker 400. He took part in his final NASCAR race a month before his death. 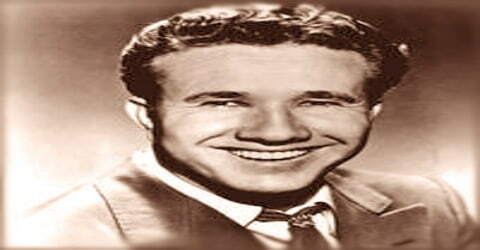 Marty Robbins, the full name Martin David Robinson, was born on September 26, 1925, in a desert near Glendale, a suburb of Phoenix, Arizona. He belonged to a nomadic family and was the sixth among nine children. Robbins grew up in a difficult family situation. His father took odd jobs to support the family of 10 children, but his drinking led to divorce in 1937. The only thing he liked about his childhood was the stories his grandfather, ‘Texas’ Bob Heckle, a traveling salesman, used to tell him. Robbins had stated in an interview that he used to sing church songs for him and he would tell him stories. A lot of the songs he would write in the future were inspired by his grandfather’s stories; for example, the song ‘Big Iron’ was based on his grandfather’s experiences as a Texas Ranger. At 17, Robbins left his troubled home to serve in the United States Navy as an LCT coxswain during World War II. He was stationed in the Solomon Islands in the Pacific Ocean. To pass the time during the war, he learned to play the guitar, started writing songs, and came to love Hawaiian music. 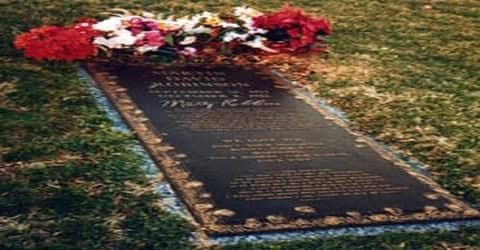 Marty Robbins married Marizona “Mari” Baldwin on September 27, 1948. They had two children, Ronny and Janet, and were married 34 years until his death. Robbins suffered a major heart attack in the 1960s, but he did not let his health affect his work. Despite his illness, he continued working. He released his last single, ‘Some Memories Won’t Die’, in 1982. In 1943, Robbins joined the U.S. Navy to fight in World War II, and while he was in the service, he learned how to play guitar and developed a taste for Hawaiian music. Robbins left the Navy in 1947, returning to Glendale, where he began to sing in local clubs and radio stations. Often, he performed under the name “Jack Robinson” in an attempt to disguise his endeavors from his disapproving mother. Within three years, he had developed a strong reputation throughout Arizona and was appearing regularly on a Mesa radio station and had his own television show, Western Caravan, in Phoenix. By that time, he had settled on the stage name of Marty Robbins. After his discharge from the military in 1947 and his marriage the following year, Robbins began to play at local venues in Phoenix, then moved on to host his own show on KTYL and then his own television show on KPHO-TV in Phoenix. After Little Jimmy Dickens made a guest appearance on Robbins’ TV show, Dickens got Robbins a record deal with Columbia Records. Robbins became known for his appearances at the Grand Ole Opry in Nashville, Tennessee. Country music singer Little Jimmy Dickens, who had appeared on Robbins’ TV show, introduced him to executives at Columbia Records and helped him sign a deal in 1951. The following year, his first single ‘Love Me or Leave Me Alone’ was released, but it was not a hit. In 1953, his single ‘I’ll Go on Alone’ became a hit and reached the number 1 spot on the Hot Country Songs chart. The song ‘I Couldn’t Keep from Crying’ was also a hit. With a rise in his popularity, he was offered a chance to become a regular member of the ‘Grand Ole Opry’, a popular country radio show. 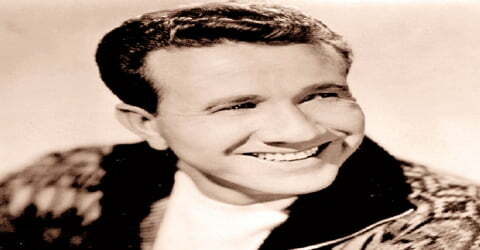 Marty Robbins placed 94 songs on Billboard’s Country Singles charts in a thirty-year career, four of them after his death. Beginning with the autobiographical “I’ll Go On Alone” in 1953, sixteen songs topped the charts. They included “Singing the Blues,” which held the number one spot for 13 weeks in 1956, and “A White Sports Coat (and a Pink Carnation)” in 1957. His Hawaiian songs, rockabilly hits, teen ballads, gunfighter ballads, pop standards, and dozens of songs of various tempos showcased his versatility. He starred in western, country music, and car racing movies and hosted television shows, including The Marty Robbins Spotlight. Robbins signed a publishing deal with Acuff-Rose and joined the Grand Ole Opry. “I Couldn’t Keep From Crying” kept him in the Top Ten in spring 1953, but his two 1954 singles “Pretty Words” and “Call Me Up (And I’ll Come Calling on You)” stalled on the charts. A couple of rock & roll covers, “That’s All Right” and “Maybellene,” returned him to the country Top Ten in 1955, but it wasn’t until “Singing the Blues” shot to number one in fall 1956 that Robbins’ career was truly launched. In 1956, his song ‘Singing the Blues’ topped the country charts. The following year, he had two number 1 songs ‘A White Sports Coat’ and ‘The Story of My Life’. In 1957, his songs ‘Knee Deep in the Blues’ and ‘Please Don’t Blame Me’ also became hits. In 1959, Robbins released the album ‘Gunfighter Ballads and Trail Songs’ and one of its songs, ‘El Paso,’ was a smashing hit and was his first song to hit number 1 on the pop chart. After “A White Sports Coat (And a Pink Carnation),” Robbins was a regular fixation on both the pop and country charts until the mid-’60s. The Burt Bacharach and Hal David composition “The Story of My Life” returned Robbins to the number one country slot in early 1957 (number 15 pop), while “Just Married,” “Stairway of Love,” and “She Was Only Seventeen (He Was One Year More)” kept him in teen-pop territory, as well as the upper reaches of the charts, throughout 1958. In addition to his pop records, Robbins recorded rockabilly singles and Hawaiian albums that earned their own audience. During that time, he began a couple of business ventures of his own, including a booking agency and a record label called Robbins. He also ventured into movies, appearing in the Westerns Raiders of Old California (1957) and Badge of Marshal Brennan (1958), where he played a Mexican named Felipe. In 1961, his song ‘Don’t Worry’ reached number 1 on the country chart and number 3 on the pop chart. It was his last top 10 pop hit. When he was recording the song, guitarist Grady Martin created the electric guitar ‘fuzz’ effect by mistake. Robbins liked it and used it in the final version. In the same year, he wrote the lyrics and music for his song ‘I Told the Brook.’ His song ‘Big Iron’ from the album ‘Gunfighter Ballads and Trail Songs’ was used in the video game ‘Fallout: New Vegas’, which gave a boost to its popularity. The song ‘El Paso’ was also used in the AMC TV series ‘Breaking Bad’. In 1980, Robbins appeared on the PBS music program Austin City Limits (season 5). In addition to his recordings and performances, Robbins was an avid race car driver, competing in 35 career NASCAR Grand National (now Monster Energy Cup) races with six top-10 finishes, including the 1973 Firecracker 400. In 1967, Robbins played himself in the car racing film Hell on Wheels. Robbins was partial to Dodges prepared by NASCAR Hall-of-Famer Cotton Owens, and owned and raced Chargers and then a 1978 Dodge Magnum. He was also the driver of the 60th Indianapolis 500 Buick Century pace car in 1976. His last race was in a Junior Johnson-built 1982 Buick Regal in the Atlanta Journal 500 on November 7, 1982, a month before his death. Robbins received two Grammy awards, the first in 1960 for “El Paso” and another in 1970 for “My Woman, My Woman, My Wife.” He was honored with the first Man of the Decade Award from the Academy of Country Music (ACM) in 1970. The award was renamed Artist of the Decade when presented to Loretta Lynn ten years later. Its most recent recipients are Garth Brooks and George Strait. Robbins left Columbia Records in 1972, spending the next three years at Decca/MCA. Though “Walking Piece of Heaven,” “Love Me,” and “Twentieth Century Drifter” all reached the Top Ten, most of his singles were unenthusiastically received. Nevertheless, he sustained his popularity through concerts and film appearances, including the Lee Marvin movie A Man and a Train and Guns of a Stranger. In March 1974, Robbins became the last performer to play at the Ryman Auditorium, the original location of the Grand Ole Opry; a week later, he was the first to play at the new Grand Ole Opry House. The honors and tributes to Robbins continued to roll out during the mid-’70s, as he was inducted into Nashville Songwriters International Hall of Fame in 1975. That same year, he returned to Columbia Records, and over 1976 and 1977 he had his last sustained string of Top Ten hits, with “El Paso City” and “Among My Souvenirs” reaching number one. Following this two-year burst of success, Robbins settled into a series of minor hits for the next four years. 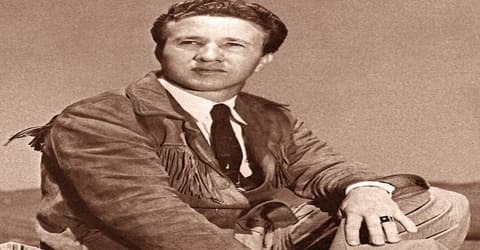 Marty Robbins won the Grammy Award for the Best Country & Western Recording 1961 for his follow-up album More Gunfighter Ballads and Trail Songs, and was awarded the Grammy Award for Best Country Song in 1970, for “My Woman, My Woman, My Wife”. His 1957 recording of “A White Sports Coat and a Pink Carnation” sold over one million copies, and was awarded a gold record. He was inducted into the Nashville Songwriters Hall of Fame in 1975. In October 1982, Robbins was inducted into the Country Music Hall of Fame. He has rewarded three awards at the 17th Annual Music City News Country Awards in 1983, and was given a Grammy Hall of Fame Award in 1998 for his song “El Paso”. Robbins suffered his third major heart attack (his second arrived in early 1981), and although he had surgery. He did not recover and died six days later, on December 8, at St. Thomas Hospital in Nashville. He was 57 years old. 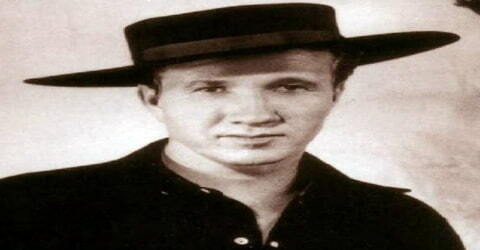 Marty Robbins’ highest charting album was ‘Gunfighter Ballads and Trail Songs’. It charted at number 6 on the Billboard 200 and was certified Platinum by the Recording Industry Association of America. One of its singles, ‘El Paso’, became a hit on the country as well as the pop charts. His single ‘A White Sports Coat and a Pink Carnation’, recorded in 1957, sold over 1 million copies and was awarded a gold record. It peaked at number 1 on the U.S. country chart and number 2 on the U.S. Billboard pop chart. His love of racing conflicted with his commitment as a country music entertainer. His skill at driving a race car moved him from the local speedway into the NASCAR circuit. “He started out being a singer driving a race car, but he became a race car driver who could sing,” NASCAR’s Bobby Allison said. Robbins was proud of his racing achievements, pointing out that other drivers “practice more than I run.” His best finish was number five at Michigan’s Motor State 400 in 1974. He ran his final NASCAR race a month before his death. His final Top 10 single was “Honkytonk Man” from the 1982 eponymous film in which Robbins had a role. Robbins died shortly before its release. Since his death, four posthumous studio albums have been released, but they made no impact on the charts.